For the first time since we started the blog I only have one picture to offer for this week because I decided to take some time off, get some things done around the house and prepare for some local fairs and art exhibits that are coming up. 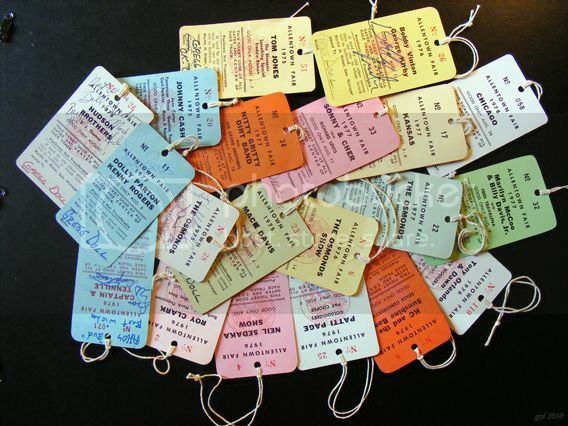 Here is a collection of back-stage passes from shows that I covered at the Allentown Fair, 1975-1977. As you can see the Allentown Fair provided a wide variety of music that attracted audiences of all ages to the fair each year. You were busy at that fair!